June | 2014 | Where Are You From? 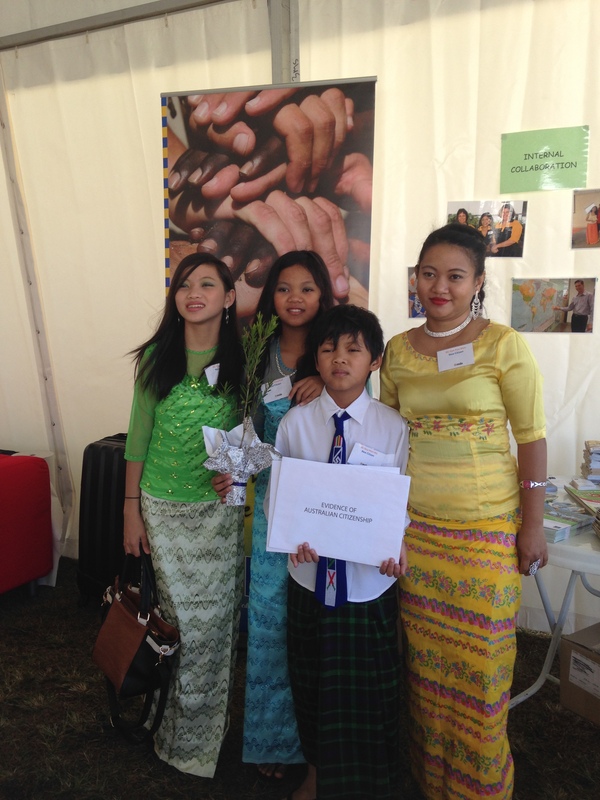 The World Refugee Day Community Festival began with a citizenship ceremony. Many people from diverse refugee backgrounds took an oath and received their Australian citizenship certificates. Some of them became new citizens with their families. We met one of the families afterwards. Mother Aye Aye Mon, her teenage daughters Kyar Pan Ni and Zon Pan Phyu, and her little son Nay Htet Hla, came to the ceremony in their colourful national dress. They talked to us about coming to Australia from their homeland of Burma. 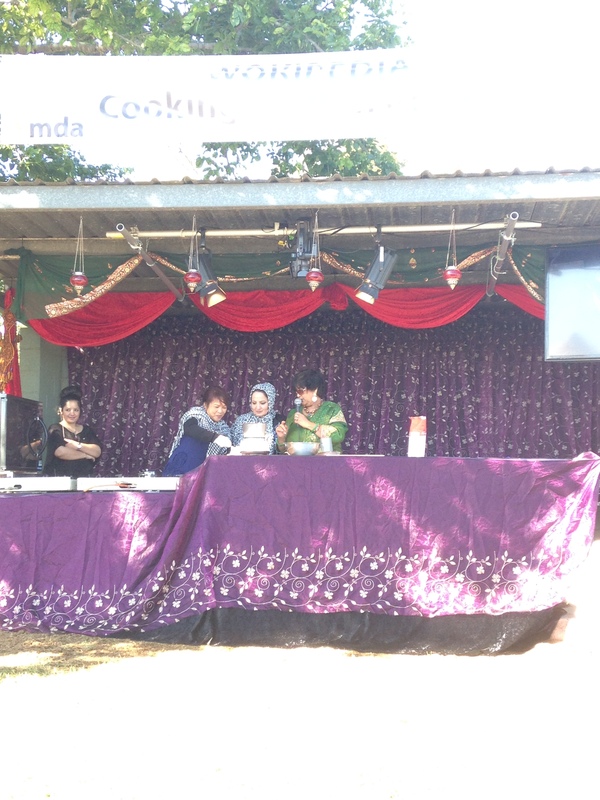 The Wokipedia stall at the festival featured cooking demonstrations by migrants and refugees showcasing their national food. 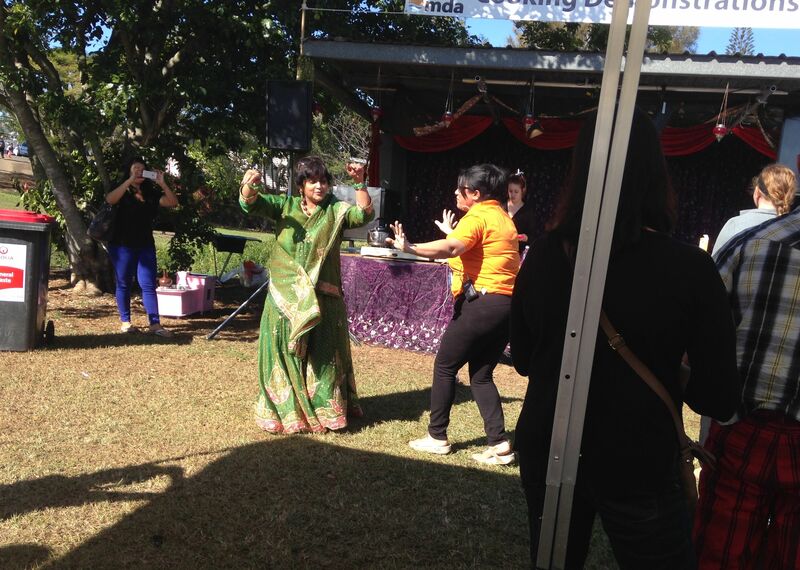 MC’ing the event was sassy Indian cook Manju Jehu. Manju’s made a name for herself by being an active figure in Australia’s Indian community, and wowing audiences on TV show Recipe to Riches with her special samosas recipe. After cooking and dancing with Nazek from Iraq and Lida from Iran, Manju talked to us about food and her life in Australia after coming her over 30 years ago. 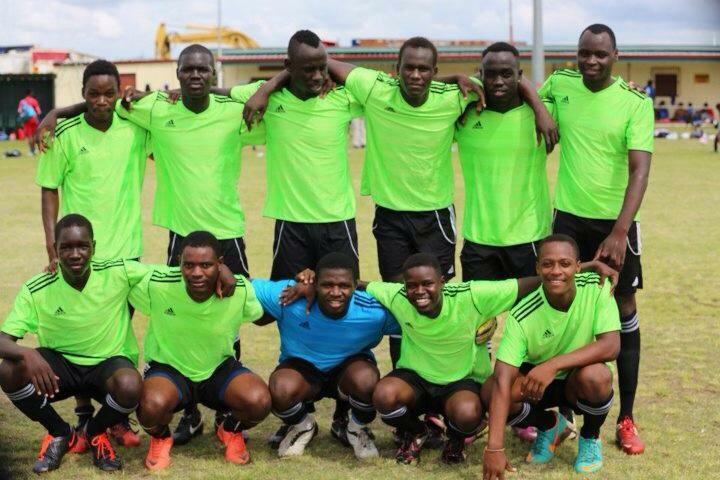 The Best United Football Club players are the winners of the World Refugee Day Soccer Tournament for 2014. Natal talked to Patrick Ryem and Emmanuel Martin from the Best United FC. Best United Football Club is made up of players from South Sudan, Liberia and Burundi including other super stars from South America. Best United FC was initially established in 2007 and that now it accommodates soccer players from diverse cultural backgrounds. Patrick Oryem talks about how hard it was to qualify and says Best United players always get into the competition to win the trophy. Emmanuel Martin talks about the spreading of the south Sudanese people as a result of the civil war and proper sense of understanding to create better approaches of integration with the mainstream society in Australia. He also talks about how hard it is to break through from community football to playing in the mainstreams at the A-League level. We’re welcoming another member to the Where are you From? team. May Yuen is an international student from Hong Kong. 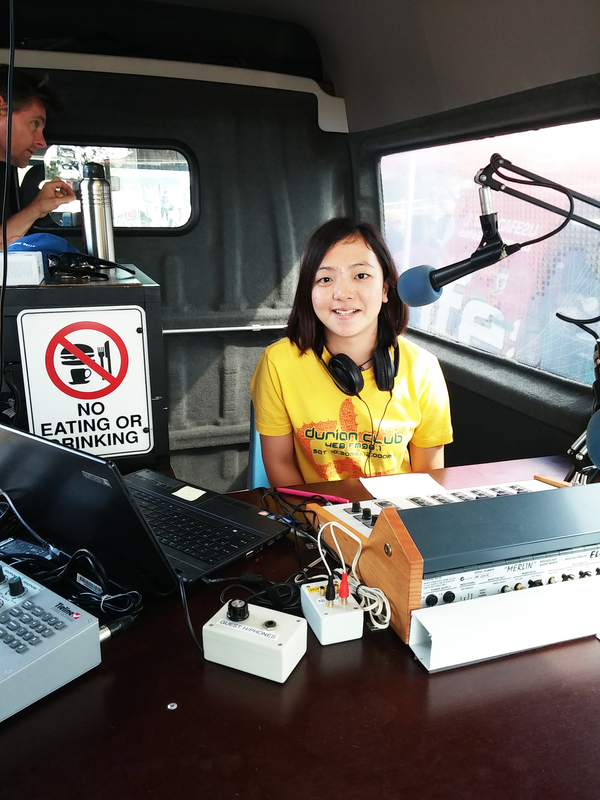 She’s been studying media and communication here and sometimes hosts programs here at 4EB in Cantonese and Mandarin. International students are not safe in Australia, according to news here and overseas. Or are they? May, who enjoys traveling alone around Australia, shares her perspectives on international student safety in contrast to what the media says. She also talks about the differences between life in Hong Kong and Australia – from uni lectures to socialising. The Restoring Hope art exhibition by nonforprofit arts organisation Art from the Margins was launched at the Vera Wade art gallery in Brisbane. This exhibition featured artists refugee from Burma. Since the military took control of the government, Burma has been a site of political unrest, ethnic genocide and civil war. Htoo Htoo Han was a teenager when the military took over and joined his fellow students and mother to protest as part of the Burmese Democracy Movement. The military oppressed this protests harshly. Many students were killed or sent to prison. Htoo Htoo escaped across the Burmese-Thai border and came to Australia as a refugee. Today, he still advocates for human rights in Burma through film and art. Htoo Htoo talks to us about many things that have brought him here today: the harrowing experience of his imprisonment in Burma and the suffering his family endured; pretending he was a spy so the Australian government would send him to the International Claims Court, so he could use the media attention to highlight the plight of the Burmese people; his fight for global social justice not just in Burma, but in the Middle East, Tibet and here in Australia; and of course, his artwork consisting of intricate coloured dots, rich in symbolism and his fight for justice. 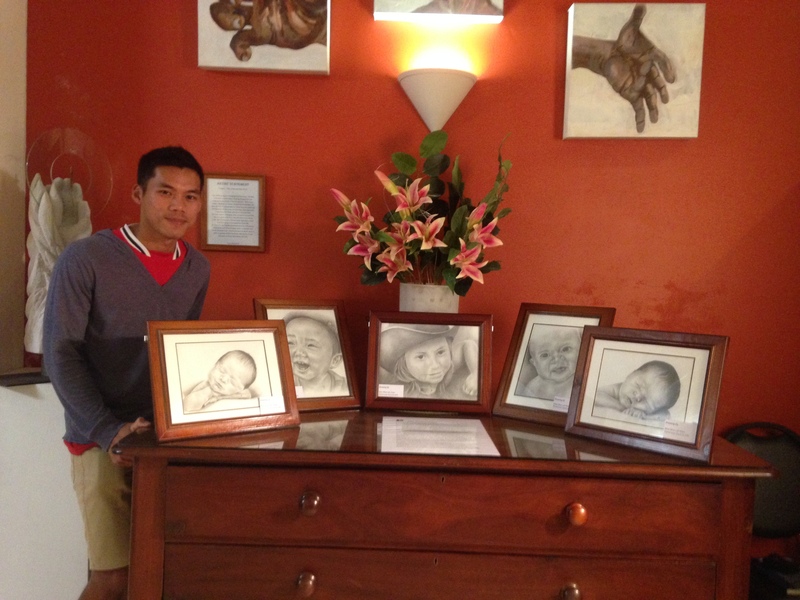 Restoring Hope featured artist Mu La Htaw’s realistic pencil drawings of smiling little children and babies, which was a huge hit with some of the elderly ladies visiting the exhibition. Mu is of Karen nationality. The Karen people are an ethnic group in Burma who have endured civil war and imprisonment over culture and land. Mu’s family fled the armed conflict between the Karen Independence Army and the Burmese Military when he was only 2 year olds. All of Mu’s schooling and education came from the refugee camps he grew up in. Along the way, Mu became fascinated by art and took art classes from teachers at the camps. Mu came to Australia as a refugee when he was a young man and lived with a Karen family in Brisbane. His parents still live in the refugee camps and he tries to visit them every year. 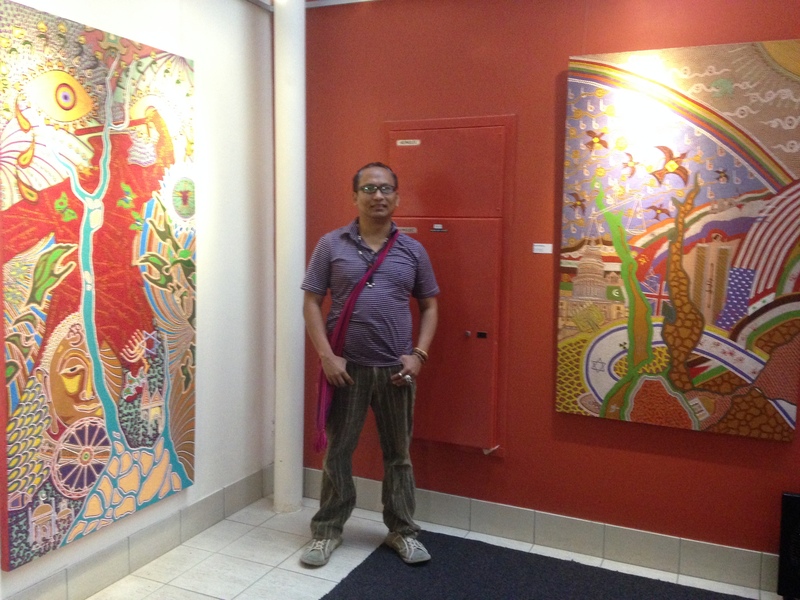 Mu tells us about growing up in a refugee camp, the Karen community in Australia and finding his love for art. The Restoring Hope exhibition is on now until Friday June 27 at the Vera Wade Gallery in Brisbane. More details here. The Luminous Welcome Lantern parade lit up Brisbane city on Queensland Day. 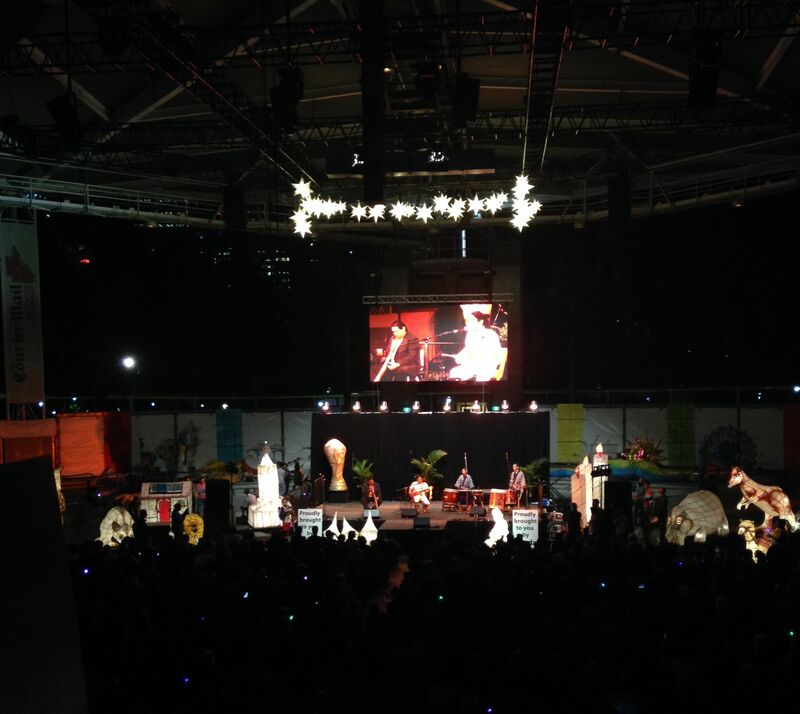 Run by the Multicultural Development Association, community groups and individuals walked through South Bank with lanterns of all shapes, sizes and animals to welcome new Queenslanders. The parade ended at a concert at the South Bank piazza featuring talent from all over the world. We caught up with two of the performers. 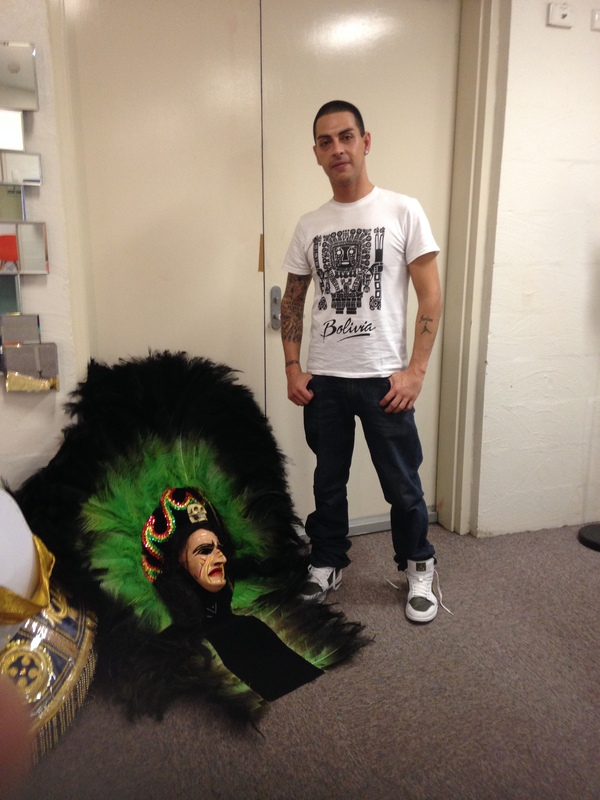 Michael Ballesteros is part of the Bolivia Marka Dance Group based in Brisbane. The Bolivia Marka group danced through the parade and performed again at the conert. Michael talks to us about performing the dances of Indigenous Bolivians as well as Spanish-influenced styles, and the Bolivian community in Australia. Tenzin Choegyal’s mastery of his native Tibetan music is critically acclaimed in Australia and internationally. As well as performing for special Tibetan events, Tenzin also collaborates with musicians who play different styles. At the Luminous Welcome, Tenzin performed with didjeridoo player William Barton and the Toko-Ton Taiko drummers, husband and wife duo Chie and Steve Mason. Three very different musical styles came together to create a unique sound for this special occasion. I talked to Tenzin, Chie and Steve about how they brought their music together, and what it means to welcome new Queenslanders. A new Miss India Australia has been crowned for 2014! 22-year-old Swetha Raj, an aerospace engineering from Melbourne, successfully won the Miss India Australia talent search. 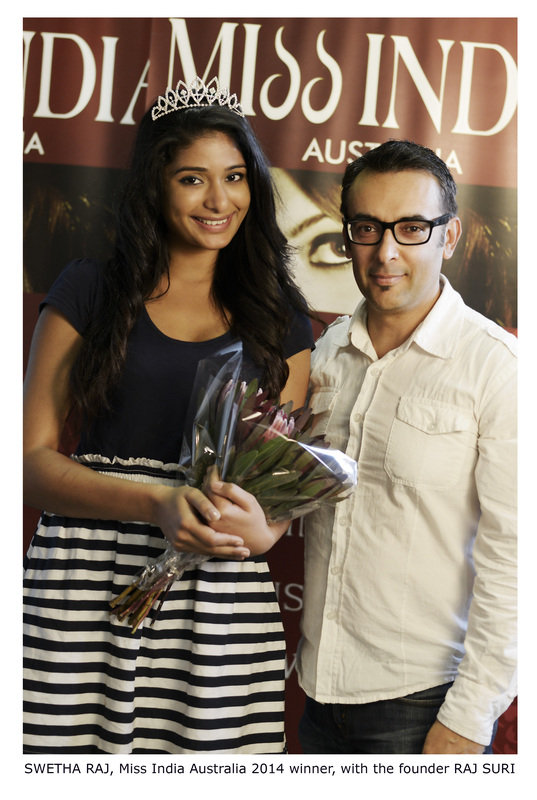 Swetha will go on to represent Australia in Miss India Worldwide in the Uhnited Arab Emirates. We got to know Swetha better and asked what it takes to be crowned Miss India.